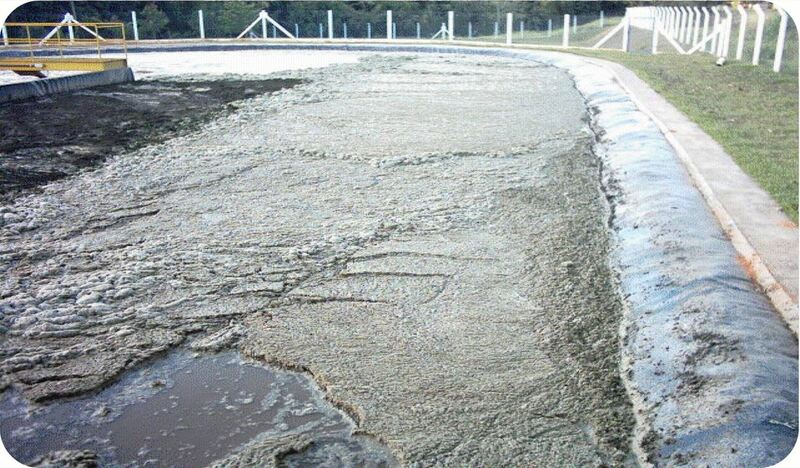 Waste Treat (WT) is a blend of scientifically-selected microbes formulated to reduce BOD, COD, TSS, sludge and odors in wastewater treatment, holding tanks and lagoons. WT increases WWTP treatment capacity while improving treatment results and reducing costs. 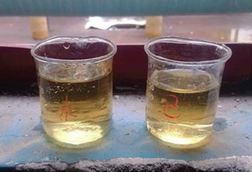 WT is an excellent all-around product designed to decompose and digest the biomass found in most municipal and industrial wastewater and is also an excellent choice for consuming nitrates, phosphates and ammonia. WT works together with the existing microbial community to improve its ability to decompose carbohydrates, cellulose, proteins and fats. The product rapidly produces a wide array of enzymes that liquefy the target waste into digestible pieces for WT bugs to consume, leading to a more efficient, reliable and cheaper wastewater treatment process. Wastewater treatment is stressful, inject some instant reliability into your operation today. ​Click to download the WT Tech Sheet and SDS. Municipal and industrial wastewater treatment plants (WWTP), holding tanks, waste lagoons and anywhere you've got poor quality water or stinky solid waste. 90,000 animal per day poultry slaughterhouse had excessive surface fat, oils and grease (FOG) buildup and very bad odors in treatment tanks. 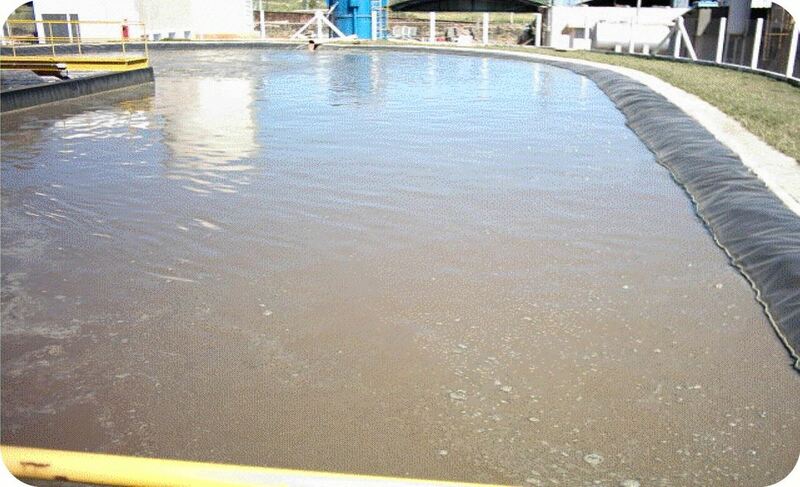 Wastewater treatment capacity was 2,250 cubic meters per day with an 8 day retention time . Low efficiency in reducing BOD with final effluent at 860 mg/L. Bio-Green Waste Treat (WT) microbes applied daily to wastewater treatment tanks. 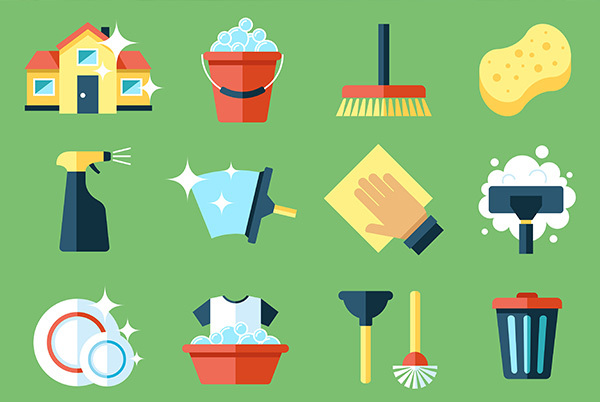 Odors and surface fats, oils and grease (FOG) were eliminated. BOD reduced from 860 mg/L to 121 mg/L in effluent. Wastewater treatment plant efficiency was increased from 55% to 86% within 90 days of treatment. Bio-Green Waste Treat (WT) microbes applied to the aeration tank; pH level was maintained in the neutral range. COD levels reduced to <300 mg/L within 5 days of treatment start, meeting discharge targets. 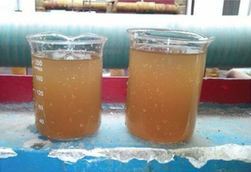 Sediment and Total Suspended Solids (TSS) were reduced to non-detectable levels.